Last year, I got pretty worked up about an insultingly bad meal I had in 2017. This year I have no barns to burn; only good news to share. In addition to telling you about my favorite meals of the year, I have, for more than a decade, used this post to round up thoughts and observations I’ve made in the preceding year about the restaurant industry at large. This year’s thoughts require quite a bit of backstory, which I present with bias. Since I first arrived on the restaurant scene in the early aughts, the global dining culture has been in a state of great agitation. In those early years, the advent of the internet compelled change that spurred an era of intense experimentation and innovation. 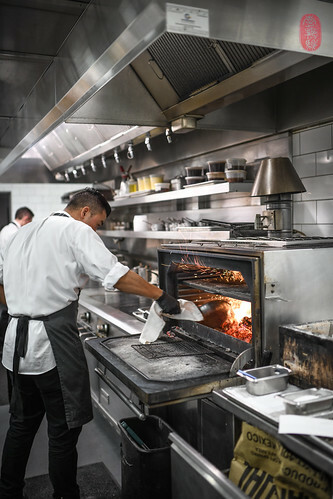 While I think this energized and improved the hospitality side of the restaurant industry, I’m not as enthusiastic about the effect it has had in kitchens, particularly at the high end. A rising generation of chefs at the time began untethering from traditional modes of cooking to indulge their curiosities elsewhere. But this shift wasn’t just happening among this small group of progressive thinkers, who began challenging culinary norms and traditions. The internet made it possible for them to share and exchange ideas beyond their own circles. And the ensuing expansion of social media gave these chefs a global reach that made them and their work tremendously influential. This caused a reordering of priorities. Diminishing was the primacy of deliciousness, ascendant were ideas and aesthetics. But even though these ideas spread quickly, those generating the ideas and driving the conversation remained few (reminder: I’m still talking about the higher end of dining). Most who ascribed to this new culinary order were not creators themselves, but rather followers. However unique and earnest the intentions, conceptual approaches to cooking, like the “Modernist” (or “Molecular”) and “New Nordic” movements, which spread virally throughout the kitchens of the world, became corrupted in replication. Wannabes began adopting (or mimicking) superficial aspects of these concepts without truly understanding them. What’s worse is that, in doing so, an entire generation of cooks weren’t actually learning to cook. The result was not a marketplace flooded with great ideas, but rather one choked with culinary ersatz. In recent years, this has been exacerbated by a steep decline in the desire for critical and evaluative conversations about cooking. Let to run wild without such accountability, the gastronomique mondiale has devolved into a circus of narcissism and overrun by infantile groupies mesmerized in the cult of chefs. Where are the adults in the room? As a consumer who unabashedly prioritizes deliciousness über alles – and have been very vocal about it – this is how I have largely viewed the last decade and a half of fine dining. As my sense and sensibilities run counter to zeitgeist, I expect many of you to disagree. It’s not that I object to experimentation and innovation, or fail to see their value. To the contrary, I’ve had rewarding meals of all stripes, and greatly appreciate the contributions that progressive movements have made to the culinary dialogue. But laudatory examples are exceedingly rare (and I have used this annual blog post to recognize them when I find them*). Most of what I’ve had to sit through and pay for – and eat – at the higher end of dining has been uninteresting at best, inedible at worst. Obviously, contemporary cooking and deliciousness aren’t mutually exclusive. And I’m not suggesting that Mr. Wells implies that they are. But the distinction that he draws between them aligns with my experiences: for more than a decade, the two have rarely been companions. Thankfully, I have good news. And this is what I want to say this year: The wheel is turning. After a decade-plus of talking about ideas, I think chefs are slowly awakening to the fact that we have a crisis of cooking on our hands. 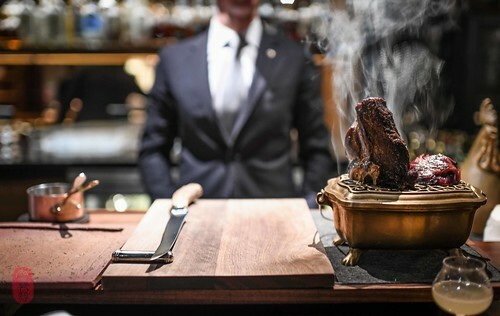 Even the most ardent supporters of conceptual cooking with whom I’ve spoken recently now eagerly admit that there is far more silliness than seriousness in restaurants these days, and it’s getting out of hand. Symptomatic is a deficit of skilled cooks – not simply in the number of cooks available, but the number of cooks who actually know how to cook. It’s beginning to have a crippling effect on the restaurant industry. It’s time to get back to cooking. And here again, I have encouraging news. From a cultural standpoint, I see the needle moving. There seems to be a growing interest in and appreciation of classical and traditional modes of cooking. I’m not talking about the trolleys and trays being trotted out at fancy restaurants these days, or the table-side to-do that seems to be showing up with increased frequency. That’s the superficial stuff, some of which is just more mimicry without understanding, or simply good dinner theater. I’m talking about chefs who are focused on understanding ingredients, and how best to showcase their natural qualities and maximize their flavor with as little manipulation as possible. I’m talking about cooking with heat and mastering timing. And I’m talking about a return to the primacy of deliciousness over ideas and aesthetics. My year-end list of my favorite meals has always celebrated the chefs and restaurants that appeal to my native preferences in eating. But more than any year before, this year, I use this list to advocate for them, and hopefully generate more momentum in their direction. In 2018, I not only indulged my preferences, I wallowed in them. As a result, I had far more noteworthy meals than I can adequately credit here. But the vast majority of these great meals were at a handful of restaurants. So, instead of presenting ten of my favorite meals, I’ve decided to feature ten restaurants that, collectively, represent the highest density of good eating. I ate at seven of these restaurants more than once in 2018, and some of them as many as half-dozen times or more. And they all performed so consistently that ranking them seems silly. So, you’ll find them listed alphabetically below. In the interest of transparency, I paid for my meals at four of the following restaurants; I was gifted meals at two of them; and I ate at the remaining four restaurants while working on projects with them (I wrote more about these relationships in my prior post about my favorite dishes from 2018). This is the eleventh year that I have memorialized my favorite restaurant meals. Others aspire for finesse the way it emanates naturally from Bernard Pacaud’s cooking. 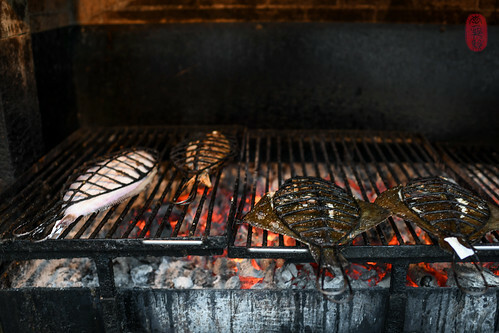 At l’Ambroisie, Pacaud is content to celebrate the beauty and flavor of ingredients with a quiet magnificence. I first wrote about l’Ambroisie shortly after my first meal there in 2008. More recently, I wrote about the meal I had there in 2017. L’Ambroisie is one of a few restaurants that has appeared on this year-end list every year I’ve eaten there. I hope this is not the last time. Even before it officially opened its doors, I already had a number of excellent meals at Joshua Skenes’s new restaurant on the Embarcadero. Angler offers the kind of intuitive deliciousness for which Skenes is celebrated, but in a more shareable way. 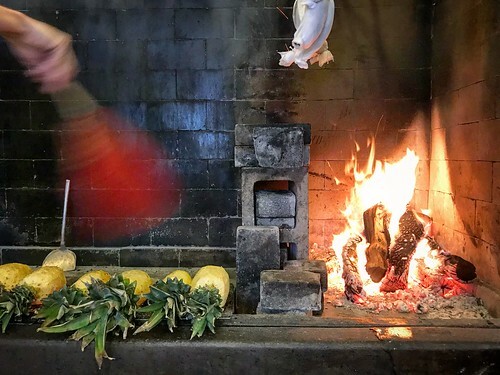 Here, he explores and showcases ingredients individually, one plate or platter at a time: superbly roasted chicken with beautifully burnished skin; a giant tomato dressed with intensely sweet tomatoes dried in the hearth; a bowl of fruit at peak ripeness. 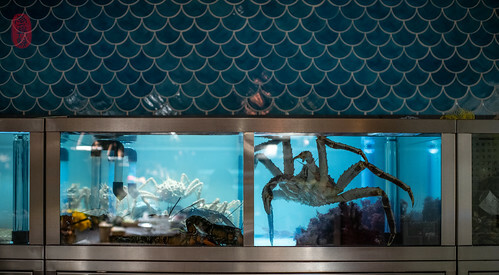 In this way, Angler demands trust and commitment from its diners. Missing is the variety offered by tasting menus. But in return, diners are rewarded with an opportunity to focus and indulge in a way few restaurants of this caliber offer. Victor Arguigoniz’s cooking expresses the flavors of the Basque country in simple terms: some buffalo milk made into fresh cheese; plump prawns gently warmed; a sea bream beautifully cooked and butterflied from head to tail; salted anchovies on toast. It is as uncomplicated as it is exceptional. Four of my ten favorite dishes from 2018 were from Cassidee Dabney, chef of the Barn at Blackberry Farm, and two of my favorite desserts last year were from the restaurant’s pastry chef Laurence Faber. Despite working at one of America’s classiest resorts, Dabney and Faber do not forsake their humble surroundings. They are resourceful stewards of these eastern hills of Tennessee, showcasing what they have locally: beans, rice, seeds, cabbage, and less-glamorous cuts of meat. And from this agrarian and austere collection, they coax rich and sophisticated flavors that elegantly tell a soulful story of the American South. 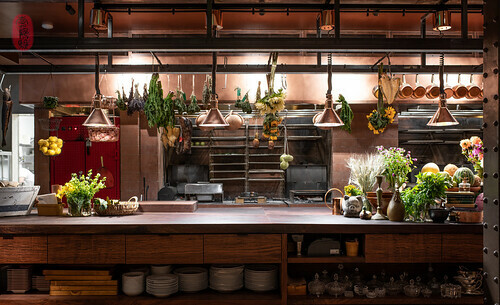 I had over a half dozen incredible meals at the Barn at Blackberry Farm last year, and I can name few restaurants in America that have earned as much enthusiasm from me as this restaurant did in 2018. Elkano shames with simplicity. What it achieves with fish on live coals exceeds what most others accomplish with far more. After six years of missed opportunities and bad timing, I finally made it to this beautiful restaurant perched on the steep coastline of Getaria, Spain. Technically, this is not a restaurant. La Ferme du Vent is a hotel run by the Roellinger family. 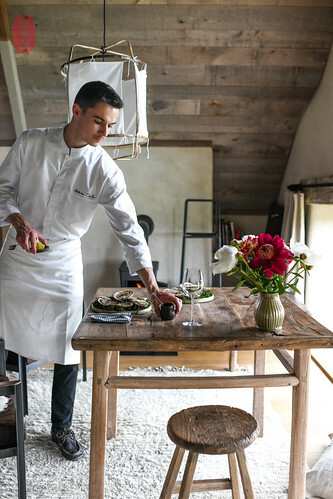 Guests here are treated to breakfast prepared by the Roellinger family restaurant la Coquillage on the neighboring property of Château Richeux. And it’s fantastic. Delivered every morning in a giant box, the buffet included cold cuts, cheeses, yogurt, fruit, juices, breads, pastries, and a little stack of Breton crêpes. This spread is just one more example of how Europeans excel at breakfast, and it joins a growing list of truly terrific breakfasts that I’ve had at European inns: Henne Kirkeby Kro (Denmark); Falsled Kro (Denmark); in de wulf (closed; Belgium); Fäviken Magasinet (Sweden); la Grenouillère (France); Maison Moizeau (France); and Bras, which appeared on this list in 2015 (France). In the afternoon, I’d come back to my room to find buttery Breton sablé cookies and candy-sweet strawberries. 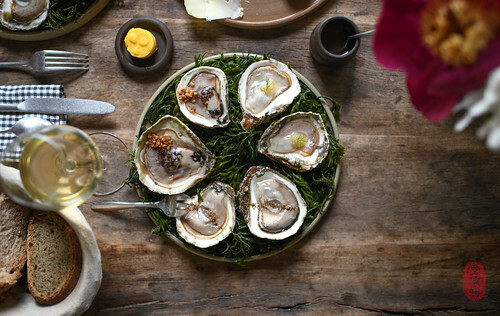 And one night, I ordered dinner to be delivered to my room: a dozen Breton oysters, some local cheeses, and that impossibly flaky mille-feuille that topped my list of favorite desserts last year. Since none of it required à la minute cooking, it was the perfect kind of meal for in-room dining, and this was, by far, the highest quality and best in-room dining experience I’ve ever had. 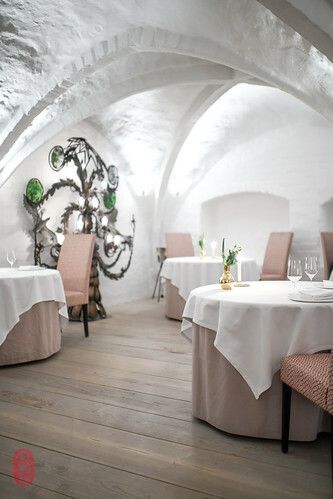 It’s hard to find a superlative that I haven’t already attached to Mark Lundgaard Nielsen’s classical cooking in this ancient cellar in Copenhagen. 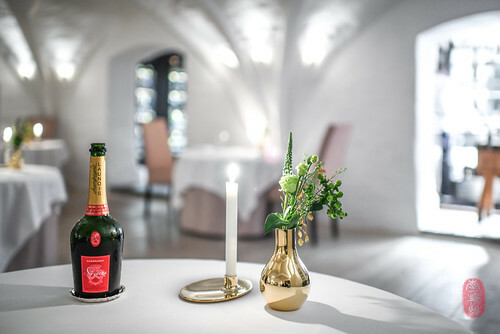 My visits to Kong Hans Kælder are well-documented on this blog, including my first meal in 2015, which inspired the joyful title “cooking is back.” In 2018, I visited the restaurant twice – once in late March, and again in September. 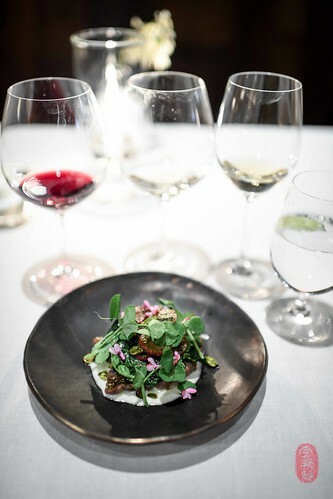 The former assistant head chef of Kong Hans Kælder under Mark Lundgaard Nielsen (see above), Andreas Bagh is deeply rooted in classical French technique and sensibilities. 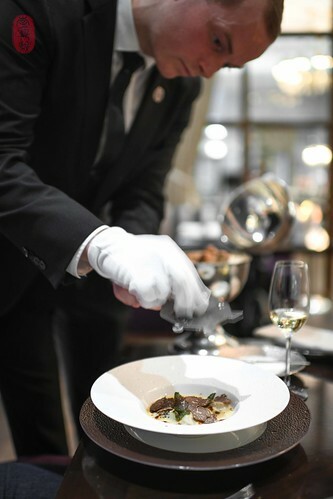 And in his years as the head chef at Marchal at the Hôtel d’Angleterre, I have come to discover an incredible technician with a superb sense of flavor and style. Bagh’s cooking is not only exceedingly correct, but wonderfully lush as well. There’s a grandeur and opulence to his presentations, a sense of indulgence that you rarely find in fine dining anymore. In 2018, I ate at Marchal twice. 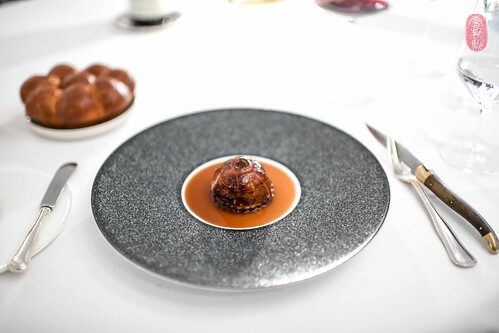 In March, there was chestnut agnolotti with truffles, and that stunning pigeon pithivier I wrote about earlier. In September, he presented a whole turbot in a turbotière, which he unseamed and plated at the table. Saison has appeared on this list every year since 2011. I admit that my work with the restaurant and chef Joshua Skenes enables me to experience this restaurant in a different way than most. But for seven years, I have personally witnessed an unbroken line of quality in cooking that speaks to the very heart of why I love to eat. I’ve written more about The Restaurant at Meadowood than any other restaurant, owing to the annual Twelve Days of Christmas event that has given me unprecedented access to this incredible restaurant tucked in the foothills of Napa Valley. But I wouldn’t elect to cover this event or this restaurant so faithfully if I didn’t feel that chef Christopher Kostow and his team consistently achieve a standard worth mentioning. 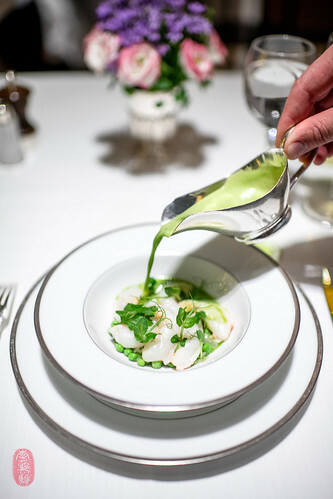 In 2018, my favorite meals at The Restaurant at Meadowood included nights 2 (Pynt), 8 (Cogley & Moran), 11 (Atsumi), and of course the last night of the Twelve Days of Christmas, when Kostow and his team, after hosting 11 incredibly demanding dinners, regain their kitchen and demonstrate why they are such an outstanding culinary powerhouse. Sadly, I visited no new countries in 2018. So the tally remains at 47. I renew my hopes of getting to 50 by the end of 2019. The Baltic states (Latvia, Estonia, and Lithuania) remain my top choice – if you have recommendations, please send them. Otherwise, I reiterate my hopes of visiting any one of the following countries: Russia, India, Colombia, Peru, Scotland, New Zealand, Vietnam, South Korea, and the Faroe Islands, a Danish protectorate in the North Atlantic. I’ve not been to any of them. I still haven’t been to Alaska. It is the only U.S. state I haven’t visited. I am eager for any worthwhile destinations and restaurants there. In Europe, I knocked off quite a few restaurants I wanted to visit in 2018. In France, I’d still like get to Régis Marcon’s self-named Régis & Jacques Marcon in Saint-Bonnet-le-Froid. Also, I will push again for La Maison Troisgros in Roanne, which I’d like to couple with a trip to the Vallée de Joux in Switzerland to visit some of the great houses of horology I admire. I’d like to spend more time in London, and see the surrounding countryside. Last year, I expressed my desire to get more acquainted with Italy. I’d still like that very much. Our gentle giant to the north, Canada, also needs to be visited. I haven’t crossed our northern border in quite a few years. In the United States, my top priority is New York City. 2018 was the first year in over a decade that I failed to visit. I can’t let that happen again in 2019. I’d also like to visit Portland, Oregon. My last visit there was in 1999. And New Orleans. I’ve heard that a lot of great new restaurants have opened since my last visit to the Crescent City in 2010. * Despite my conservative leanings, I am and have been open to acknowledging exceptional cooking in a wide range of restaurants. This annual list of my favorite restaurants has included quite a few vanguards of progressive cooking: wd~50 and Alinea in 2010; Quique Dacosta and elBulli in 2011; Martín Berasategui in 2012; and Noma and Geranium in 2013. 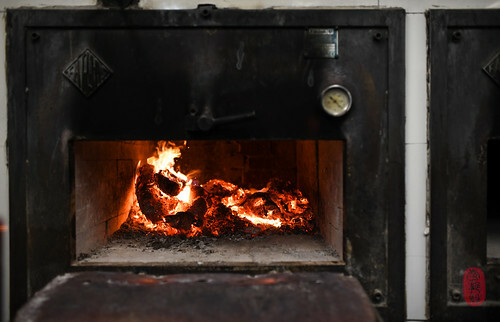 Photos: Turbot and flatfish on the grill at Elkano in Getaria, Spain; the pass at Angler in San Francisco, California; pineapples on the hearth at Saison in San Francisco, California; the cellar dining room of Kong Hans Kælder in Copenhagen, Denmark; unpacking in-room dining at La Ferme du Vent in Saint-Méloir-des-Ondes, France; Ravigote de Petits Pois at l’Ambroisie in Paris, France; the great sea tanks at Angler in San Francisco, California; the oven at Asador Etxebarri in Axpe, Spain; Shaved Pork Shoulder at The Barn at Blackberry Farm in Walland, Tennessee; turbot on the grill at Elkano in Getaria, Spain; Breton “huitres plats” at La Ferme du Vent in Saint-Méloir-des-Ondes, France; Veal and Foie Gras Tourte at Kong Hans Kælder in Copenhagen, Denmark; shaving truffles over a gratin of chestnut agnolotti at Marchal in Copenhagen, Denmark; North American Prong Horn on the table top at Saison in San Francisco, California; the Josper at The Restaurant at Meadowood in St. Helena, California; Champagne and taper on the table at Kong Hans Kælder in Copenhagen, Denmark. ~ by ulterior epicure on January 20, 2019. Great collection of restaurants – I’ll try to visit some of them during upcoming trips! 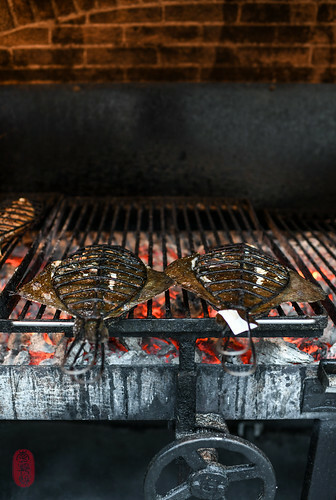 I would add Atera in New York City as one of my favorites – have you dined there? It seems that in this age of instant internet commentary, both bloggers and publishing companies have allowed their critics to become “people who have something to yell about on the internet,” with the occasional unbelievably positive responses to meals, which I respect more (a good meal can make you giddy to the point of hyperbole. While I’m sure you’ve read A.J. Liebling to Ruth Reichl, and more in between, including restaurant blog-and-web writers you can see how far we’ve slipped away from true criticism. But I have always enjoyed your writing. I find I feel like I am reading a truer account of a restaurant than, as you mentioned, the NYTimes Critic. I look forward to your writing in 2019, especially because I too see the tide turning. (And I also humbly suggest “The Lost Kitchen” in Freedom, Maine, my home state — though NYC is still my favorite city for eating. I missed a meal there in 2017 & 2018; something I also plan to rectify in 2019.